We offer Select all encompassing microsoft licensed bundles for Not for Profit 501(c)3 as low as 7.95/month with no contracts. Healthcare organizations may not qualify. With Office 365 from Agency Eagle you can get cloud-based access to all your favorite Microsoft Office applications on a pay-as-you-go basis. 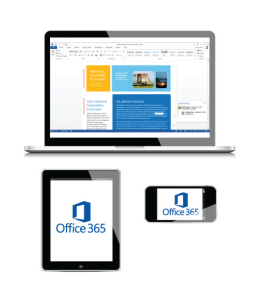 For a low monthly fee, you can have Office 365 on up to five devices per user, giving you the latest versions of popular Microsoft tools like Outlook, Word, PowerPoint, Excel, SharePoint and Lync. Get all the same Rich Office features on your PC or Mac or Mobile Device from a native app or streamed live from the Web. And use SharePoint, SharePoint Online or OneDrive for Business to store and share files with colleagues or among various devices. Communicate in real time using Lync. Collaborate on documents with SharePoint and use OneDrive for Business to make them available wherever you are. You can also federate with Skype and hold face-to-face meetings in HD and from your mobile devices, sharing OneNote documents and attachments with ease. Manage all of your Office 365 services from a single sign-on console that shows the current health of related services. Control email archiving and journaling per user in one interface. Add users, manage groups and get maintenance reminders and notices. You can also add security to all mobile devices and protect company data by remotely wiping devices and requiring additional I.D. verification. With Agency Eagle, your Office 365 service is backed by our Phenomenal Care™ — free, 24/7 customer support provided by our own team by phone, email or live chat. Sit back, relax and let us prove this is the smartest decision you ever made.